The City of Alpine is pleased to announce the Winners of the 2017 #AlpineTXPhoto Contest! Click here to view them, the finalists and all of the entries to the 2017 Contest. Free and open to the public, this annual contest is an opportunity for our visitors from near or far as well as local community members to showcase their photographs and videos. 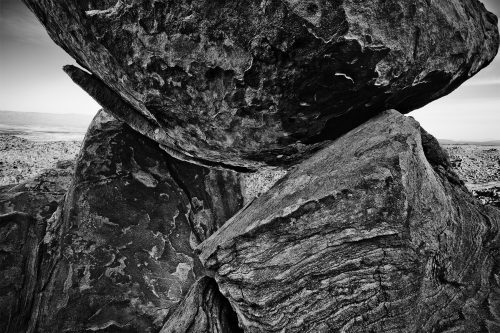 Participants are asked to capture the city of Alpine, Texas (and/or its surroundings) in a personal, reflective way to reveal the personality of the town through their eyes. The city itself has a rich history, a variety of architectural and natural landmarks and scenic views of all types and sizes. Through the artist’s own lens and outlook, Alpine’s persona will bloom with high-quality, inspired and surprising imagery. Entrants have the chance to win one of the following cash prizes. Click here to view the complete Photo Contest Rules. This year’s photo contest will be judged by Terry Cockerham, a Dallas-based photographer whose current exhibit, “Big Bend and the Terlingua Project”, is on display at Alpine’s Museum of the Big Bend through September 3. Cockerham’s work can also be viewed at his web site, www.terrycockerhamphotography.com. “I saw such an incredible body of work for the Alpine Photography Contest that selecting only five images to be the winners was even more difficult than I could imagine. I spent many hours revisiting all of the images multiple times before I selected the five I have chosen. For those of you that have been shooting for a while but did not get selected in the top five, please don’t quit entering your images to various juried shows. I’ve been entering juried shows for years and I can tell you that I have not been selected for shows much more often than I have been selected for shows. Finally for those of you that just bought a camera and are still learning how to use it, don’t get frustrated and don’t quit entering juried shows. Like any other art form, it takes time and patience. “And then there’s the juror. Something every person that enters a juried show needs to consider is that every juror brings along his or her concept of what a good image is. They may have a preference for color images vs black and white, don’t like photos of pets, sunsets, etc. A good example is my most recent entries to two different juried shows, one in Lubbock and one here in Irving. I sent two images, some of my Bryce Canyon work, to the two different juried shows (they both received the same images). In one case the two images were selected (Lubbock) and in the other case neither image was accepted (Irving). Using the Rule of Thirds – mentally divide your viewfinder into three horizontal and vertical spaces and place your primary subject along one of those lines or intersections of those lines as opposed to placing it into the center of the frame (also known as the dead zone). Getting Closer – Robert Capa once said “If your pictures aren’t good enough get closer”. By that he means move closer to the subject or if you cannot physically get closer to the subject use a longer lens. I noticed a lot of animal photos in the contest so here’s a simple way to make your animal images stronger. Post Processing of Your Images – I’m guilty here. When I first started using the Photoshop software I tended to overdue the processing the results being images that looked unreal and over the top weird. In fact I have one image in my collection that I worked on for about 7 years (well not literally 7 years non stop) but I’ve now limited my post work to that which would be the equivalent of what could or would be done in the darkroom (different tools) and I think my work is much better than it was. Watch Your Background – Telephone lines, trash cans, people not wanted in the shot, etc., etc. Before you shoot make sure you’re not including information that you don’t really want in the photo. HDR (High Dynamic Range) – Stay away unless absolutely needed to get the image where it needs to be. Depth of Field Control and Shutter Speed – Learn how to use depth of field so that you can control the look of the background and foreground of your subject. Learn how to use the shutter speed to add or prevent blur or sharpness in the image. Go on the web, there are many sites that cover the basics of the new digital world of photography. Study the Images of Famous Photographers – Goes without saying – study artists such as Ansel Adams, Edward Weston, Eugene Smith, and others (that’s my group but there are many others for you to choose from). Keep Shooting – Find a project that makes you focus on one subject for a period of time so that you can continue to improve your skills. Take a basic photography class at a local school. But whatever you do – don’t quit. Photographs must be taken in the City of Alpine and its immediate surroundings. Photos within the City are preferred. “Immediate surroundings” includes the roads and ranches between Alpine and its neighboring communities, but not the towns themselves (photos taken in or beyond Marfa, Fort Davis, Marathon, and Terlingua will not be eligible). See the Complete Photo Contest Rules for more details. The contest is open to entries through September 30, 2017. 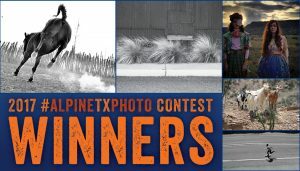 Fill out the Photo Contest Entry Form and upload your images (or e-mail the files to uploads@visitalpinetx.com). Up to five photographs may be entered per participant. See the Complete Photo Contest Rules for more details.